•Welcome Night is adults only and will be held on July 26th, 2019 from 7pm-2am at Punch Bowl Social Cleveland located at 1086 West 11th St. Cleveland, Oh 44113. •The 2nd night will be held at Round One Bowling and Amusement 7850 Mentor Ave. Mentor, OH 44060 from 6pm-9pm. There will be a private room reserved for our class between the hours of 6pm-9pm. Games are unlimited between those times. There will be unlimited food, soft drinks, and beer. Food includes pizza, wings, fries, and ice cream. Wine is available for purchase. Round One is a family friendly place, so please feel free to bring your children, and significant others! Please be mindful the pricing is per person. 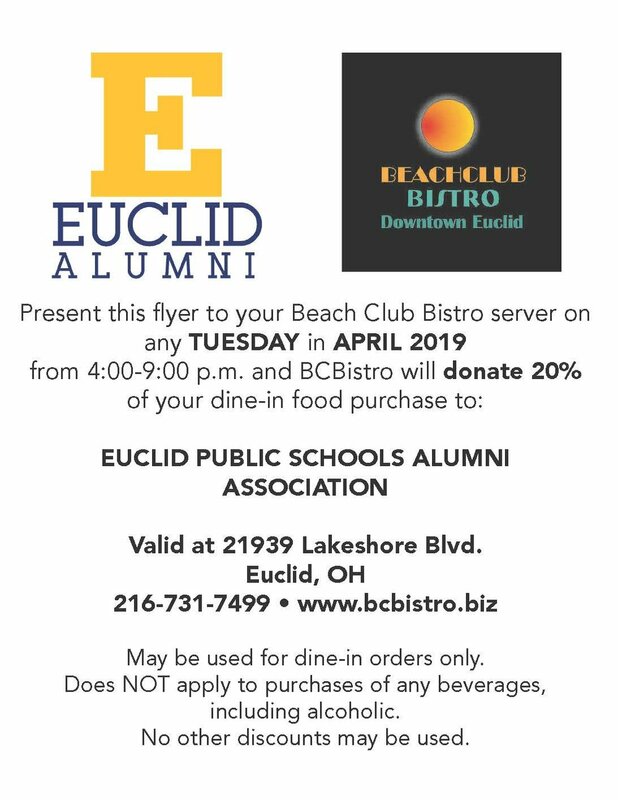 Join the Euclid Public Schools Alumni Association for this FREE tailgate party before the 2019 Euclid High School Homecoming Game. 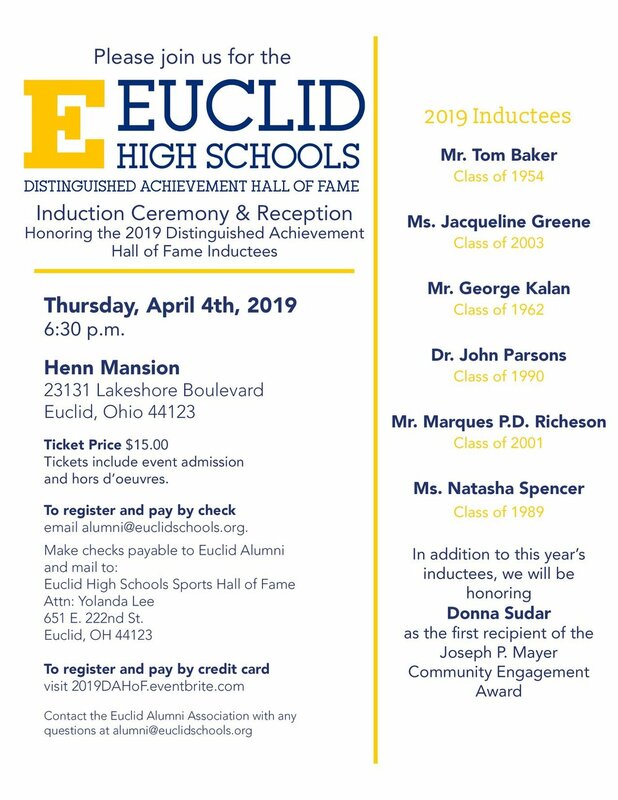 Euclid Schools Alumni and their families are welcome! Additional details are forthcoming. For this important meeting, we need 40 EPSAA members in attendance. Please RSVP for the meeting using the form below, whether you can attend or not. Additional meeting info can be found here.